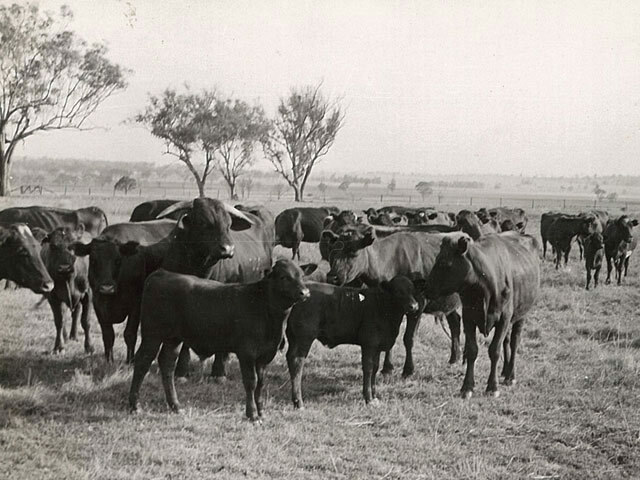 In 1953, George and Heather Greenup purchased their Santa Gertrudis bull, KRT Elation 35(Imp.) at the 2nd King Ranch sale in Australia. He was introduced into the commercial Shorthorn herd that had been in operation for 90 years. The quality of his first calves surpassed all expectations. 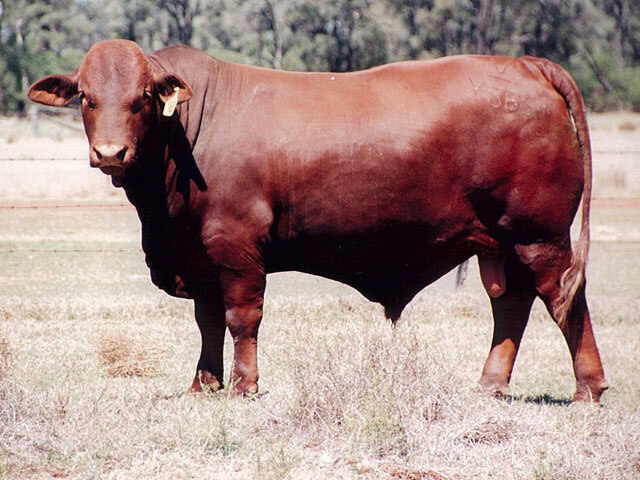 A grading up process continued and the Rosevale Santa Gertrudis Stud was formed as Stud 23. The Stud staged its inaugural bulls sale in 1957 with catalogue consisting of yearling Santa Gertrudis/Shorthorn cross bulls. In 2006 the 50th Annual Rosevale Sale was held – the longest running Santa Gertrudis sale in Australia. The current herd at Rosevale consists of 700 Stud and 700 Commercial breeders. In both herds selection is towards the type of cattle that will produce male progeny that will fatten off pasture prior to two years of age and grade for heavy export markets such as the Japanese Ox market. As a result, the cattle have high growth, are well muscled and have the ability to lay down fat at an early age. The philosophy behind the breeding herd is to produce the maximum kilograms of beef in the shortest possible time at the least possible cost. To do this the aim is to strike a balance of growth and carcase quality without compromising fertility, structural soundness and temperament. Strict adherence to the above criteria is creating a herd of high performing cattle that remains adapted to the environment they live in. The distinct lack of pampering has meant that the breeders have evolved into a naturally selected, easy care herd. 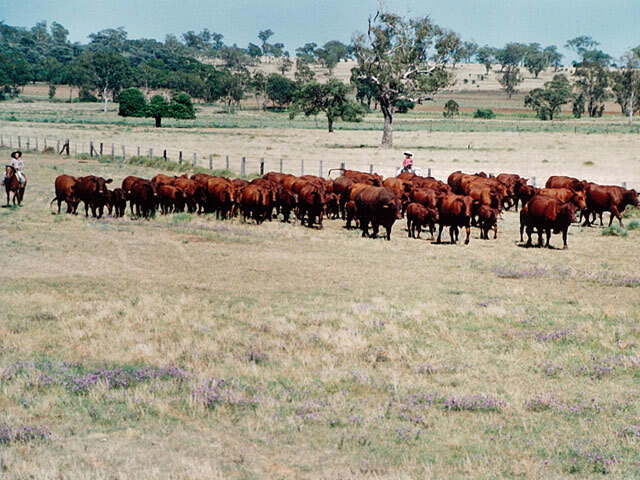 The Greenup Family are committed to breeding fertile, high performing cattle that will breed both consistently and predictably in the herds that they go into. This commitment has led Rosevale to be a leader in the use of performance recording and other technologies that help measure their cattle against the rest of the industry. 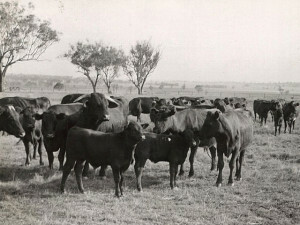 Young cattle at Rosevale are run in large mobs on pasture and directly compared under these conditions to identify the high performing individuals. We have resisted the temptation of the showring because we want to run our very best animals in the big mobs in order to get a real picture of their genetic makeup. While we are always pushing the boundaries of performance, we rely on pregnancy testing and the resulting culling of empty cows to ensure that our herd remains functional and adapted to the country we run them on with little assistance. The Rosevale Stud Herd is one of the most extensively and accurately performance recorded herds in the Santa Gertrudis breed. Like our stud breeders, the commercial herd is restricted to a three-month mating with all non-pregnant females culled. Cows that fail to turn up with a calf at branding are also culled, even though dingoes are a problem at times in this country. There are no free-loaders! 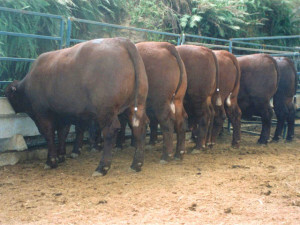 In this herd, Santa Gertrudis is used as the base breed. 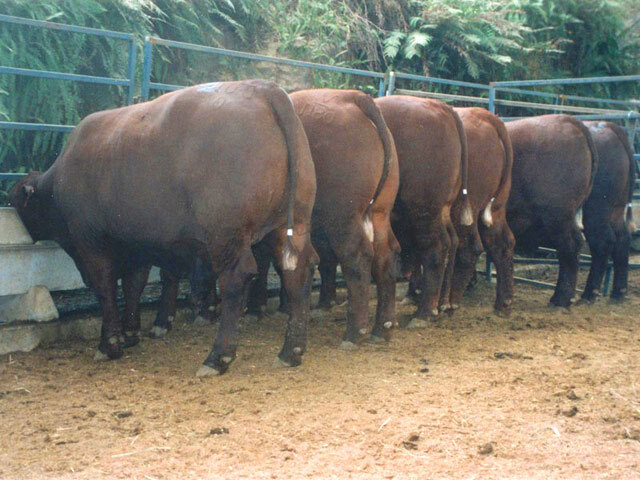 Some of our best performance recorded bulls are used in the herd-many for one year before being sold on. In our selection of potential sires for this herd we are continually on the lookout for bulls with a combination of traits that will make the herd more productive. This at times will mean that we consider bulls of other breeds or crosses that offer the genetic combinations that may not be readily available within our pure breed. 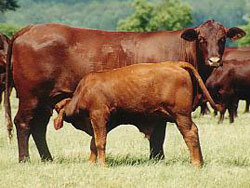 At present there is a percentage of Charolais and Red Angus blood in some of the cattle in our commercial herd. The very best bull calves from this herd are retained as bulls. Their performance is monitored just like the bulls with pedigrees. Many of them perform as well as our very best pedigreed bulls and are offered for sale if they meet our minimum performance, temperament and structural soundness criteria. The aim in the Rosevale Commercial Herd is to breed highly fertile, clean sheathed, polled bulls whose progeny will grow quickly and meet market specifications at an early age.